SS Dicky Wreck Removal, Sunshine Coast. Photo by: Simon Beedle. 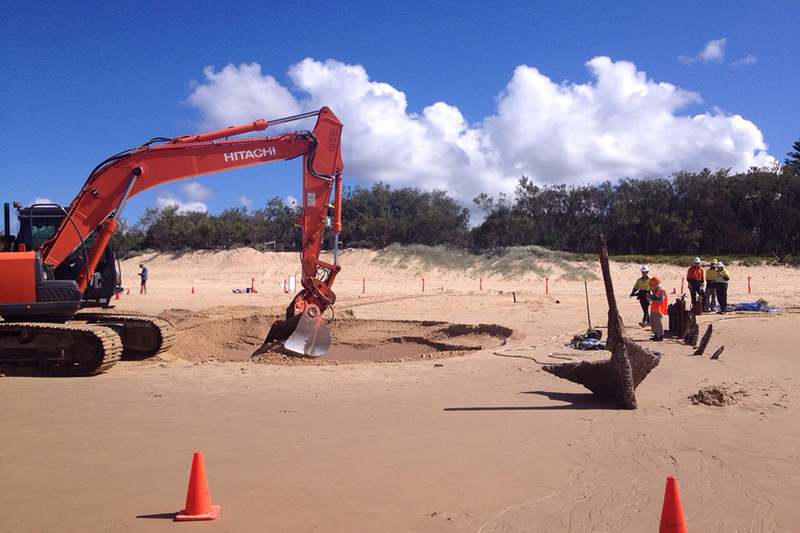 The removal process of the SS Dicky Wreck on Dicky Beach (the only recreational beach in the world to be named after a shipwreck) has begun today. A Sunshine Coast Council task force deemed the wreck a public safety risk for swimmers a couple of years back. At 30 metres in length, Steamer SS Dicky was shipwrecked on a Caloundra beack way back in February, 1893. The beach was then named in her honour, and more recently the skeletal remains of the Dicky wreck had become a popular spot for Australian landscape photographers and international visitors alike. It was a great subject to photograph during the right conditions, depending on the tide, and rarely would a sunrise or sunset go by without the wreck being photographed. 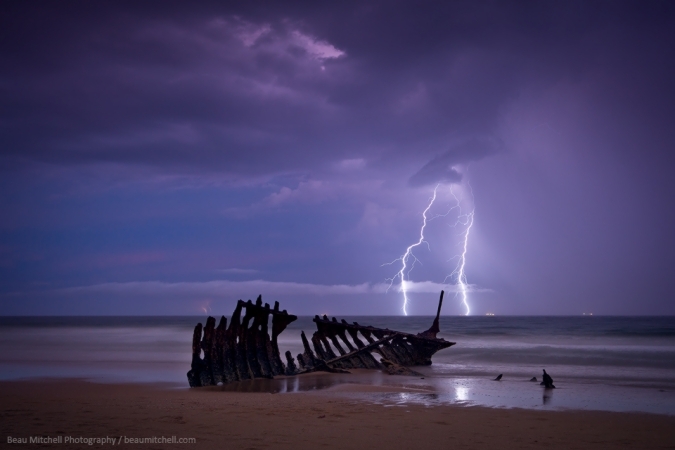 The wreck has found a place within some of Australia’s finest landscape photographers portfolios. 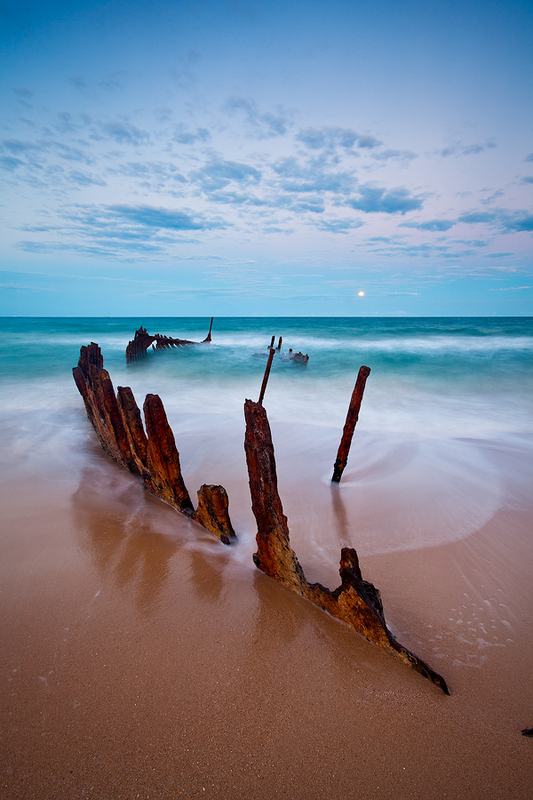 During my time living in Queensland I have shot the wreck on a number of occasions. A couple of my favourite photographs of the wreck from the past few years are below. SS Dicky during a severe lightning and thunderstorm, 2012. SS Dicky wreck at dusk shortly after the sun had set and the moon had risen, 2011.